Now we can get VPS Server hosting as low as $10 per month through ServerMania. The Cheapest quality VPS Hosting in terms of hardware and support also. 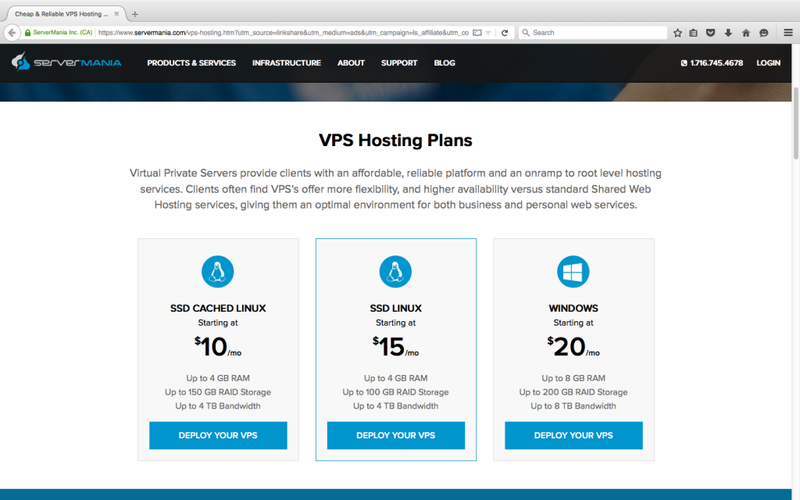 Hardware wishes this one of the best VPS hosting packages. ThIs server does not suit the nontechnical users because there it’s come without any hosting control panel.For that, we have to pay extra. So this best option for those you can play with Linux Command easily and also for the users who like learn how to handle server. We can also get VPS windows server starting at $10 from ServerMania. My personal choice is VPS server with CPANEL which will increase its cost by $15 and at $25 price range we have many choices.